The GlobalPort Batang Pier is scheduled for a head-to-head game against the Alaska Aces at 5:15 P.M. on March 18, 2017 in Cuneta Astrodome. The 2017 PBA Commissioner’s Cup has officially started and it will be the first game for the Batang Pier and the Aces this second conference. Both teams were successful on making the Quarterfinals round during the 2016-17 PBA Philippine Cup. Alaska finished second place in the All-Filipino conference behind the eventual champion team, the San Migeul Beermen. The Aces, however, bowed down to Barangay Ginebra even they had the twice-to-beat advantage. 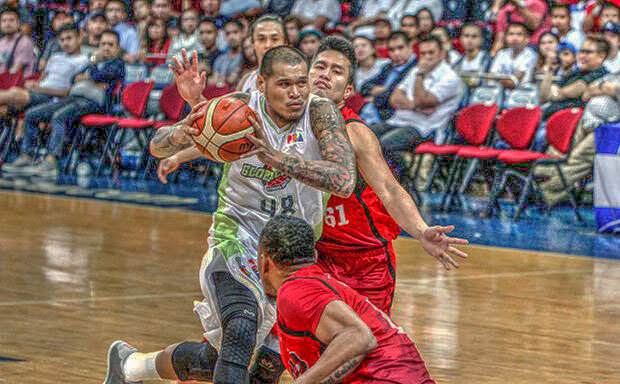 GlobalPort registered six wins last conference and was seen at times running in the second place in the standings. Most of their success depends on the hot shooting hands Terrence Romeo who leads the league in scoring. Just a few days ago, Aces import Octavius Ellis went back to US due to a reported “urgent family matters” which almost left Alaska importless before the 2017 Commissioner’s Cup kicked off. Ellis was quickly replaced and Alaska will showcase a 60th overall 2014 NBA Draft pick Cory Allen Jefferson. “Sean Williams Block Party” will be expected to happen this afternoon as GlobalPort will unleash their own monster-inside-the-paint player. Sean Williams’ portfolio is advertising that he will be a rim protector and solid inside the paint. If that is correct then GlobalPort might have found its missing piece for their championship puzzle.